Performance and technology designed specifically for the office. Lavazza Professional Flavia commercial brewers have a sleek, compact design made especially for offices. Unlike Keurig brewers, you have the ability to make specialty drinks like cappuccinos and espresso. If your office is looking for the convenience of single cup with the luxury of a specialty drink, a Flavia brewer might be the perfect choice for you. The Lavazza Professional FLAVIA Creation 500 blends stylish design with enhanced drinks and menu display options making it easier than ever to create and enjoy the perfect brew. It’s simply the perfect blend of design and performance. 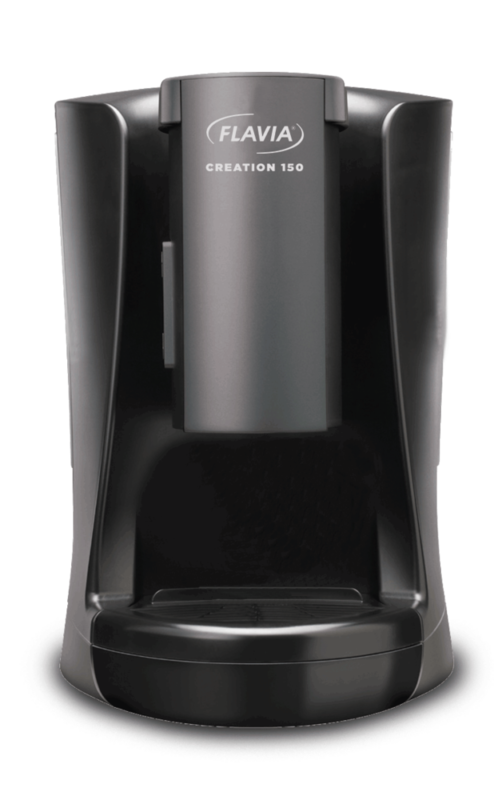 The Lavazza Professional FLAVIA CREATION 150 (FLAVIA C150) is the perfect single-serve brewer for the home office, small office & collaborative workspace needs. It’s perfect for offices with 15 employees or less. FLAVIA machines are designed to meet individual drink demands. By selecting a range of products from our specialty single-serve brands, everyone will be satisfied. 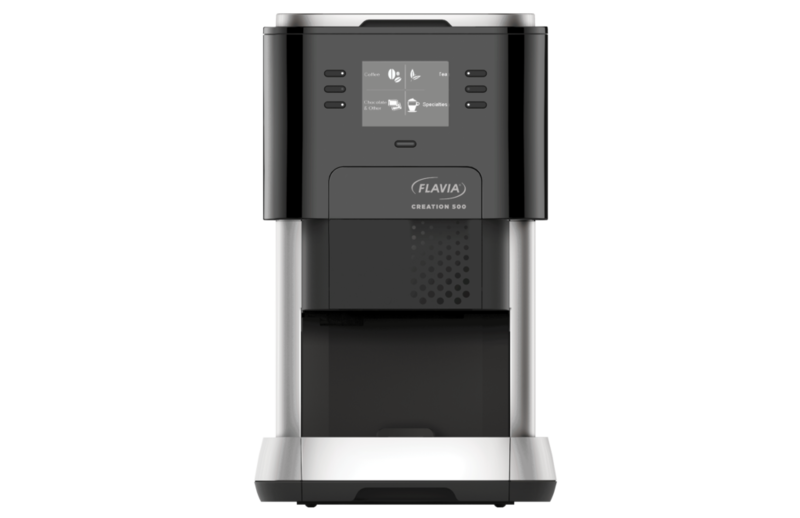 The FLAVIA C150 features quick easy-to-use technology with single cup drinks ready in 40-60 seconds. There’s no clean up or mess since it brews one cup at a time. It has a sleek modern look, a removable, easy-fill water tank as well as an internal water tank. The Lavazza Professional FLAVIA Creation 200 (FLAVIA C200) is the office coffee machine designed specifically to meet the needs and demands of mid-size offices and collaborative workplaces. Create your own personalized hot drink each and every time. 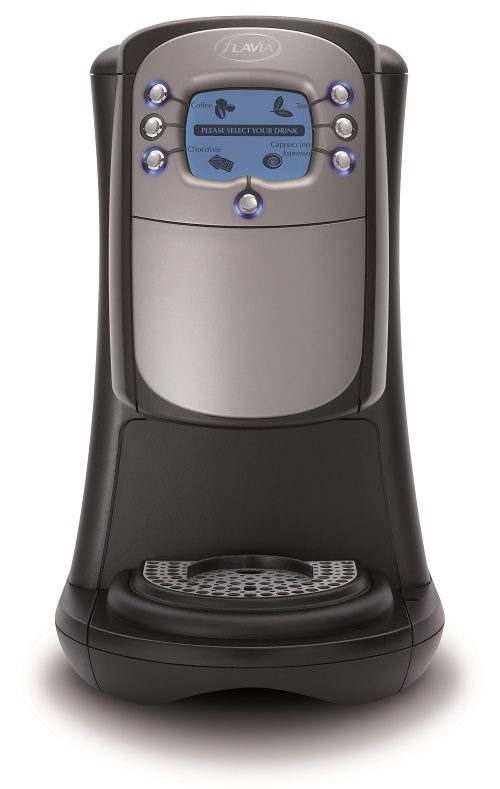 It is the ideal hot beverage solution for workplace environments of 15-75 employees. It consistently provides the freshest, great tasting hot drinks for busy people, keeping your working day running smoothly. 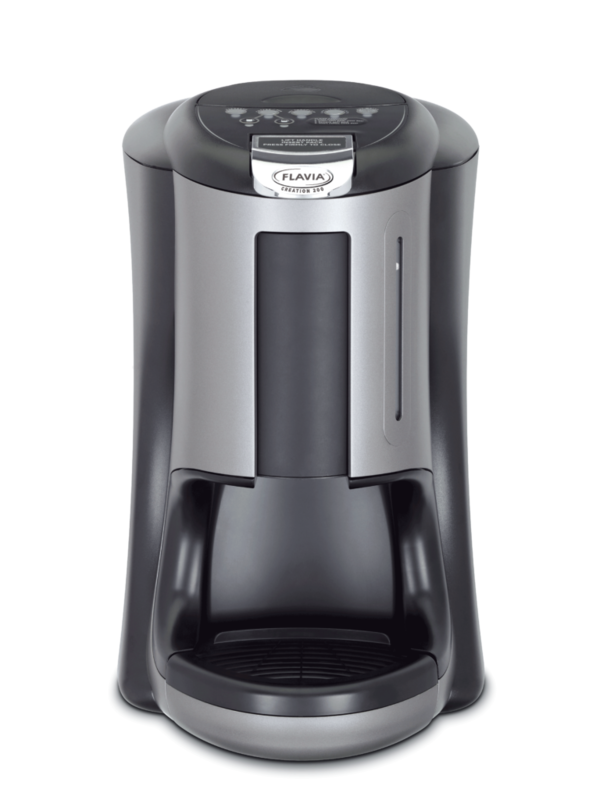 The FLAVIA C200 has quick, easy-to-use technology with single serve drinks reading in 40-60 seconds. The simplicity of the machine and its drinks delivery means FLAVIA can save you time and effort compared to other hot drinks machines. The unique FLAVIA Fresh Pack ensures that drinks retain freshness, aroma and taste for an average of 9 months, meaning you’ll spend less time organizing stock. The Lavazza Professional FLAVIA Creation 400 (FLAVIA C400) is the office coffee machine designed specifically to meet the needs and demands of today’s workplace. Create your own personalized hot drink each and every time. It is the ideal hot beverage solution for workplace environments of 50 or more employees. It consistently provides the freshest, great tasting hot drinks for busy people, keeping your working day running smoothly. The FLAVIA C400 features a simple, user friendly interface with a large LCD screen, making it quick and easy from the word go. The simplicity of the machine and its drinks delivery means FLAVIA can save you time and effort compared to other hot drinks machines. The unique FLAVIA Fresh Pack ensures that drinks retain freshness, aroma and taste for an average of 9 months, meaning you’ll spend less time organizing stock. The Lavazza Professional FLAVIA Barista is comparable to having a coffee shop expert right in your office. It’s the only single serve brewing system that can make perfect coffees and specialty drinks with the touch of a button. When it comes to innovative coffee brewers, the FLAVIA Barista is at the top of the list. 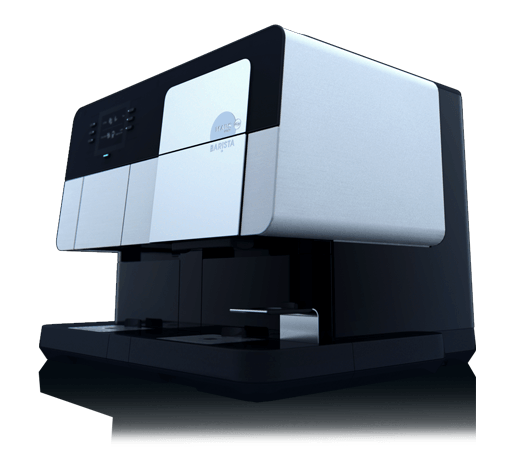 The FLAVIA Barista features an easy-to-use interactive interface that allows a quick brew selection process. The removable tray accommodates cups of all sizes such as espresso cups and travel mugs. As an alternative to connecting to a water line, the FLAVIA Barista can be filled manually. It’s time to get your office break room it’s very own barista.